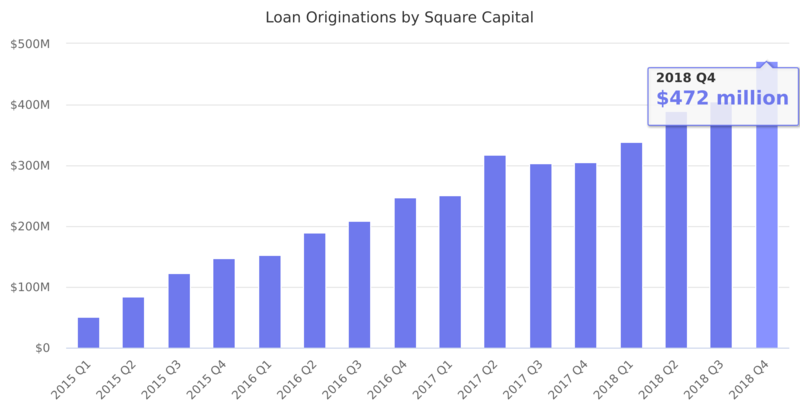 Square Capital offers business financing to merchants using Square. Launched in Mau 2014. The merchant returns the advance to Square by paying back a percentage of their credit card sales over time. Last reported quarter 2018 Q4 it was $472.00 million, up by 55% year-over-year from $305.00 million. From $1,177.00 million in 2017 it increased by 36% to $1,606.00 million in 2018.